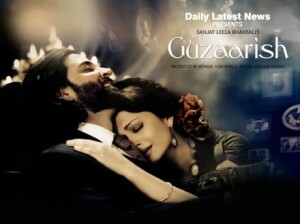 Sanjay Leela Bhansali makes a stunning comeback with his new film on the block, Guzaarish with a starry cast of Aishwarya Rai Bachchan and Hrithik Roshan as the lead actors. The duo has previously worked together in films like Dhoom2 and Jodha Akhbar wherein their pairing was immensely appreciated and similar can be expected from Guzaarish as well. The story of the movie revolves around the relations of a wheel chair ridden patient and his married nurse. Hrithik essays the part of Ethan, a man who is quadriplegic and is confined to his wheelchair after he met with a motor and sensory function impairment of his limbs. Previous to this happening Ethan was a successful magician and due to this role Hrithik also learned an act or two of magic from a Ukrainian magician who guided him about magic. Aishwarya essays the role of a beautiful nurse who is married. The bond that the two gradually develop forms the main centralization of the film. The official trailer of the film is out and is sure to break records because of the intense performance that the two actors have delivered. Sanjay Leela Bhansali has previously too worked on films that focus on human handicapness and the subsequent win over that impairment. The trailer begins with Hrithik on his wheel chair and then comes recaps and short glimpses of the two actors together wherein Aishwarya is seen in a plain look. The movie is slated for a 19 November release and is being greatly looked forward for.